We recently completed a dramatic new series of print media ads on behalf of client Avjet Corporation, a global leader in business jet charter, sales and management solutions. The campaign, designed to leverage Avjet’s 35 years of success in the aviation industry, used stark, arresting images of ancient military icons. 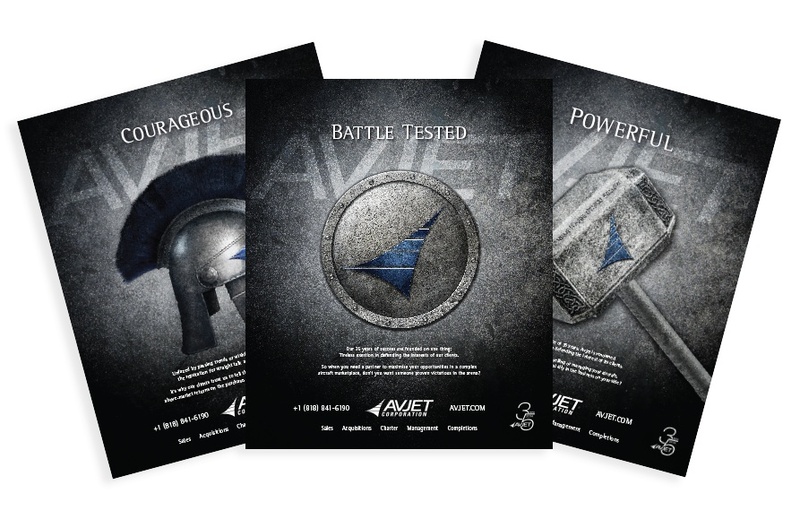 The strength, endurance and loyalty evoked by these symbols, customized with the Avjet logo, enabled the ad to stand out from all other ads in the publications where it appeared.